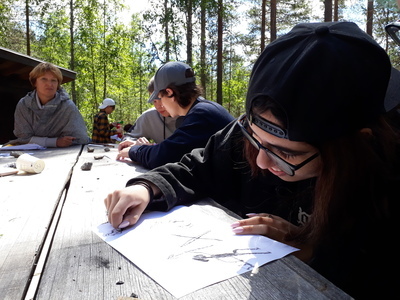 We organise programme for children, language and thematic camps for which we would like to invite native and non-native English and Finnish speakers. The camps we organise are directed mainly on children from Russia. Camp life is fiscally active, enjoyable and positive. Together with kids you will experience success and become more confident, develop long-life skills, reconnect with nature and find new friends. The main task for volunteers is English teaching. We have two hours of English a day with exception of excursion days. Camp lessons is not the same as school ones. It is time of holiday, so we try to make life in camp active, positive and interesting. This also applies to language studies. Games, games and again games. We do not study grammar in our camps. The main point is communication skills. We develop children communication skills though games, sports, art, music, etc. All your interests and hobbies are good topic for English lessons.